CAMALOT Dispensing for surface mount and chip packaging & assembly applications. 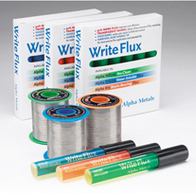 Underfill, adhesives, encapsulants and solder paste. JUKI AUTOMATION SYSTEMS is a world leader with over 20,000 machines installed worldwide. Standard 3 year parts warranty with every machine sold. Juki machines have the lowest cost of ownership.in the industry. ELECTROVERT Reflow Ovens: Energy efficient with intelligent flux control & reduced nitrogen consumption. VI TECHNOLOGY: AOI systems for post print , pre & post reflow with 2D & 3D inspection capabilities. JUKI AUTOMATION SYSTEMS offers high quality selective soldering equipment. ELECTROVERT Wave Soldering Systems: UltraFill nozzles for low defect, lead free soldering. Servo spray fluxing for complete & uniform flux penetration. ELECTROVERT Inline Cleaners: Patented pump & nozzle technology, complete with enhanced dryin by air knife and the Electrovert “ torrid” zone. USI Spray Coating Equipment: Applications include conformal coating, fuel cell and solar panel manufacturing. YXLON / FEINFOCUS offers X-ray inspection systems, and industrial Computed Tomography (CT) solutions for the non-destructive testing of circuit boards and industrial components / materials (NDT). MARTIN/FINETECH supplies cost effective, easy to use automated / manual BGA rework stations, BGA reballing and dispensers for all types of SMD components. COGISCAN: Real-time tracking, traceability, and control of all materials (feeders, components, PCBs, solder paste) throughout SMT and other assembly processes.